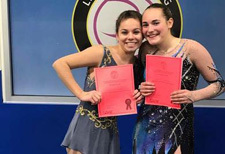 The LSC Board has been working with Suburban Ice East Lansing to implement the U.S. 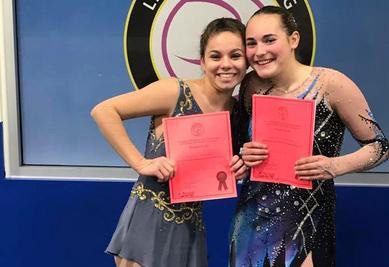 Figure Skating SafeSport program. The purpose of the program is to provide a safe and comfortable environment for all LSC members and is required for all USFS clubs. As a board, we have been working hard to make this transition quickly and seamlessly. The SafeSport program is an implementation of additional codes of conduct. The contracts are included on this page (buttons below) and all three forms must be signed and turned in by all members wishing to remain in good standing with LSC. Anyone experiencing issues with the above listed areas or any of the additional rules established in the codes of conduct may contact any of our SafeSport committee chairs. These chairs will act as the rink and the Board’s liaisons and will pass along any violations to the Skating Director. The Director will follow the action plan laid out in the codes of conduct upon a filed complaint. The committee chairs are: Erin Banner, Alissa Folger, Tracy Moore, and Jessica Johnston. Our skater representatives are Phoebe Whitbeck and Peyton Huttenlocker. We all can play a role in preventing abuse and reducing misconduct in sport. The U.S. 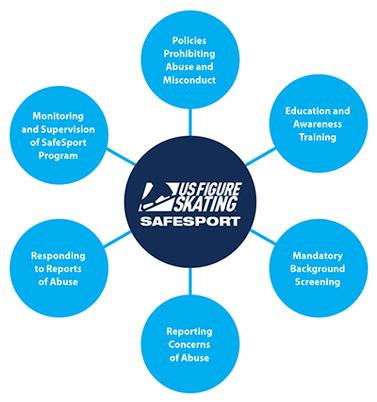 Figure Skating SafeSport Program provides resources for all members to identify abuse and misconduct, steps that can be taken to reduce it, and procedures to respond to it. CLICK HERE for more information and access to the SafeSport Handbook. Please feel free to bring any grievances regarding the above issues, as well as any unsportsmanlike conduct to any of the committee chairs so that the Skating Director may address them.